Bring your baskets and prepare to hunt. Several Easter events will take place throughout Chautauqua County. The third annual Easter egg hunt at Midway State Park will begin at 11 a.m this Saturday. Hunting areas will be available for children ages 5 and under and 6 and older. Following the hunt, train rides with the Easter Bunny will be given from 11:15 a.m. to 12:15 p.m. For more information, contact Midway State Park at 386-3165 or look for them on Facebook. Midway State Park is located at 4859 Route 430 in Bemus Point. Cockaigne Resort will host an Easter egg hunt at 11 a.m. Saturday. Hunting areas for different age ranges will also be available. The Easter Bunny will visit from 11 a.m. to 1 p.m. For more information, contact Cockaigne Resort at 287-3223 or find them on Facebook. Cockaigne Resort is located at 1493 Thornton Road in Cherry Creek. Also on Saturday, JCPenny will host a KidZone event from 11 a.m. to noon. The event will take place in the children’s department. Kids are encouraged to come dressed as a Marvel superhero. They will also receive an ID badge and lanyard. Activities include coloring a cinch bag. In addition, the Chautauqua Mall will also host Cute as a Bunny Crafts from 1-2 p.m. The event is free and located next to the Easter Bunny garden in the main court. On Sunday, the mall will host Pet Photos with Bunny from 6:30-7:30 p.m. Guests are invited to bring their pets to the mall for a keepsake photo with the Easter Bunny. Guests are asked to used the main entrance next to Planet Fitness since the event is after hours. Throughout the weekend, the Easter Bunny will be available for photos in the center court across from Auntie Anne’s Pretzels. Times are noon-8 p.m. on Saturday and noon-6 p.m. on Sunday. On Saturday, April 20, the village of Celoron will host its annual egg hunt at Lucille Ball Memorial Park. Registration for bikes and other prizes begins at 9 a.m. The hunt begins at 10 a.m. Hunting areas will be available for children ages 1 to 3, 4 to 6, 7 to 9 and 10 to 12. The Easter Bunny will also arrive prior to the hunt. For more information, contact the village of Celoron at 664-8693. Lucille Ball Memorial Park is located at 21 Boulevard Ave. in Jamestown. In Ashville, the Children’s Safety Village will hold its Easter Carnival in the complex on April 20 from 10 a.m. to 1 p.m. Activities will include food, games, prizes, a parade, crafts, train rides and more. In addition, the Chautauqua County Sheriff K-9 Unit, Child ID and the Chautauqua County Humane Society will give demonstrations, the Easter Bunny will also be available for pictures. The Children’s Safety Village is located at 2695 Route 394 in Ashville. In Gerry, an egg hunt will be held at the town park at 10 a.m. Prizes for different age groups will be awarded and refreshments will be offered. The Gerry Volunteer Fire Department will also have its fire trucks on display. 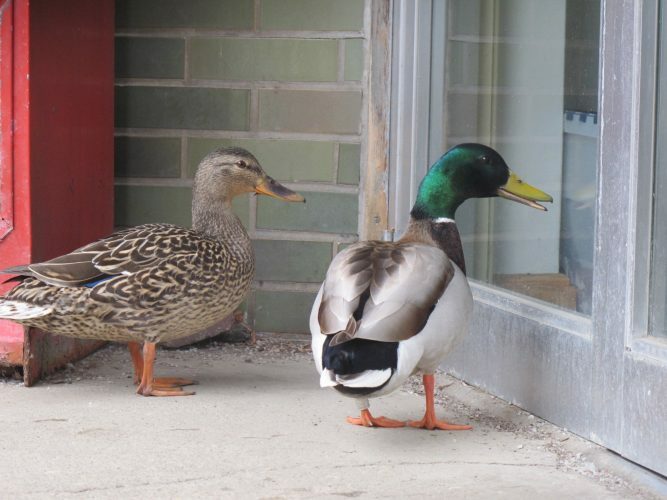 In Jamestown, the city will host its annual egg hunt in Allen Park at 10:30 a.m. on April 20. Children ages 12 and under are invited to attend. Hunting areas for ages 9 to 12, 5 to 8 and 4 and under will be available. 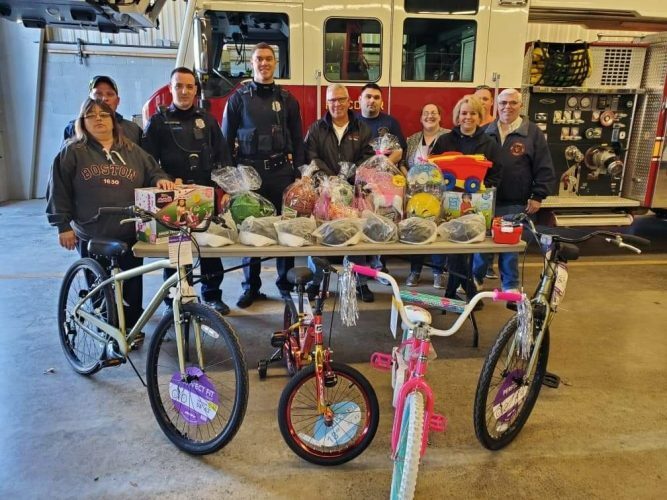 The Easter Bunny will arrive before the hunt on a fire truck. 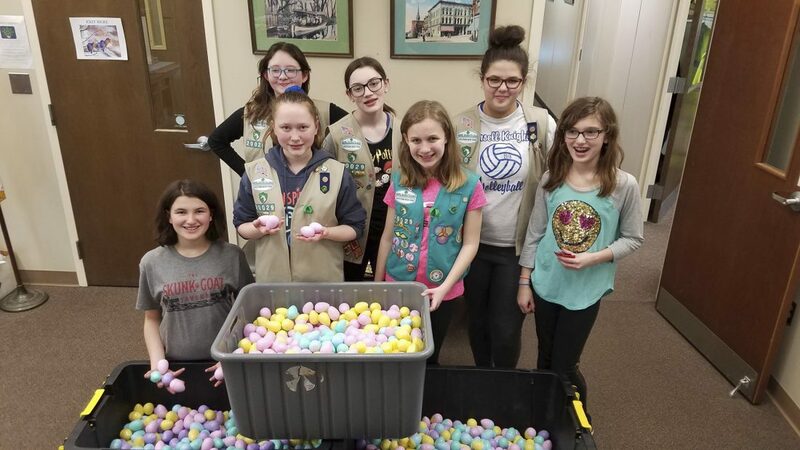 More than 3,000 eggs of candy filled by members of Girl Scout Troop 20029 will be hidden. Thirty-three toy prize eggs as well as a pair of silver and gold eggs will be given. 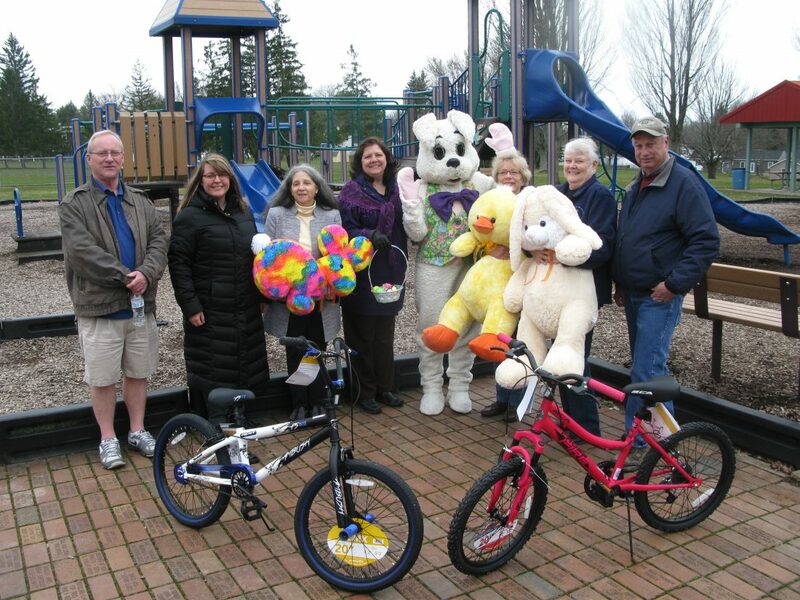 The gold egg prizes will be bicycles donated by the Chautauqua Region Community Foundation. Prizes for the silver eggs will be gift cards donated by Roberta Hess in the memory of her husband Mark. The Child Advocacy Program will also donate three stuffed animals as prizes. Sponsors for this years event are the Allen Park Women’s Club, the Chautauqua Region Community Foundation, Jamestown Bowling Company, McDonald’s, and the Media One Group. In the event of inclement weather, the event will be held in the Allen Park Ice Rink. An announcement will be made before April 18 if conditions require the event to be moved indoors. 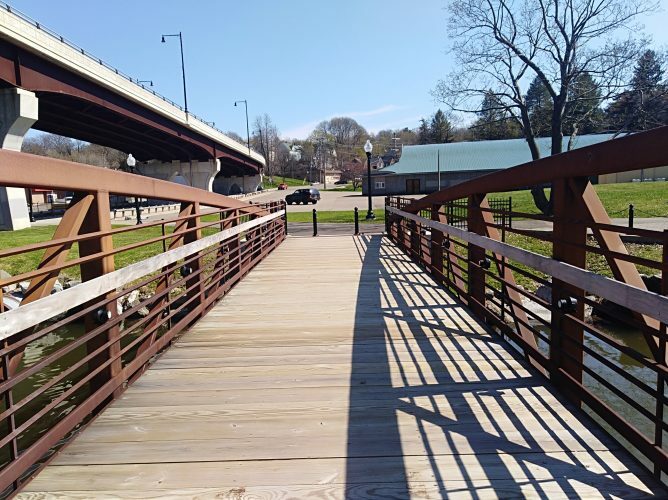 For more information, contact Jamestown Parks and Recreation coordinator Julia Ciesla-Hanley at 483-7523 or visit Jamestown Parks Recreation and Conservation Department on Facebook and Twitter. Allen Park is located at 31 Hughes St. in Jamestown. The Allen Park Ice Rink is located on Elizabeth Avenue at the intersection with Allendale Avenue. Also in Jamestown, the East Side Fellowship will host its 58th annual Easter egg hunt at 10 a.m. The hunt will take place at College Park on Curtis Street Extension. Age groups are 1 to 4, 5 to 7 and 8 to 12. Also on April 20, the North Harmony United Methodist Church will host a community Easter egg hunt at 1 p.m. Children from birth to 12 years old are allowed to hunt. All attendees are asked to bring their own Easter baskets and to dress for the outdoors. North Harmony United Methodist Church is located at 6814 Sherman-Steadman Road in Sherman. At Chautauqua Mall, the Easter Bunny will also be available for greetings and photos on April 19 and 20. Times are noon-8 p.m. on Saturday, noon-6 p.m. on Sundays and 4-8 p.m. on Good Friday. An additional Cute as a Bunny event will take place on April 20 from 1-2 p.m. In Frewsburg, the Magnolia will host its fourth annual egg hunt on April 19. The event begins at 2 p.m. and will take place on the campus grounds. Participants are asked to bring their own baskets to the event and be at the pavilion behind the facility before 2 p.m. The event is free and open to the public. All ages are welcome and refreshments will be served. Because the event is held outdoors it is weather-dependent and may be canceled in the event of inclement weather. For more information, contact Magnolia activities director Teah Bines at 569-3095 or email at TBines@magnoliafreswburg.com. The Magnolia is located at 106 Main St. in Frewsburg.